Our luxuriously appointed rooms and suites are decorated with contemporary design furniture, allied to restful hues of taupe and cream, with accents of dusky blue, moss green and fiery orange, providing a comfortable, as well as sleek and glamorous overall effect. Our exclusive T/Bed was designed with delicate materials that ensure a perfect night's sleep. The balconies facing the Marina and the mountains or the Atlantic blue Ocean are the perfect places to admire the sunrise and sunset in the comfort of your room or suite. Tivoli Marina Vilamoura Algarve Resort boasts four restaurants and three bars. Start with the Chilli for a fabulous breakfast by the pool. 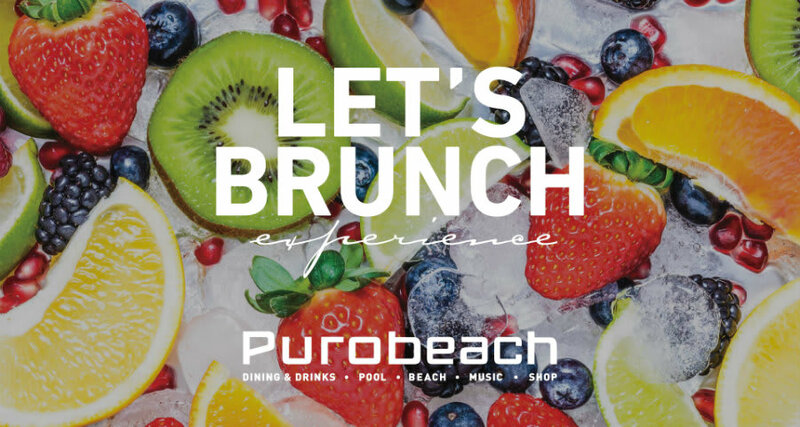 During the day, head for the Purobeach for laid back chic, light meals and cocktails. At the Oregano, La Bella Italia enchants with fresh mediterranian flavours. If you prefer a good selection of meats, Pepper's Steakhouse will be the best choice. Live it up with cocktails at the Side Bar or Canela Bar, and enjoy the fabulous marina view. Whether it’s a product launch, a banquet or a large-scale congress, we have the specialized and creative team, the resources and facilities to ensure the success of your event in the Algarve. Soon we will open the largest Congress Centre in the Algarve, with rooms overlooking the gardens or the marina. For unforgettable events, you can also count on the Purobeach Lakeside tent with capacity for 3,000 people. The Purobeach Vilamoura Poolside is an oasis of tranquility and peace, the perfect place to enjoy a constant premium service, a relaxing massage or a light snack and cocktail among friends surrounded by lush gardens. Enjoy entertainment like the sound of the DJ and themed dinners with the Purobeach signature. The Purobeach Vilamoura Beachfront is one of the most unforgettable spaces for a unique beach experience. Delicious meals and glamour on the beach. In the beautiful gardens of Tivoli Marina Vilamoura, which transport us to paradisiacal scenery of the Algarve nature, at your disposal there is an indoor swimming pool and two outdoor swimming pools to enjoy the sun. Guests can enjoy the beauty and calm of the space while relaxing at one of our pools. Couples may choose a private area at Purobeach Poolside or spend the day at the Resort's family pool. Relax, relive and unwind in the refinement of Tivoli Spa Vilamoura. Relaxing massages, treatments for two and holistic cures. Embark on a programme dedicated solely to you and your well-being. Open daily from 9:00 a.m. to 8:00 p.m., discover and transcend yourself. Our family-friendly resort offers a range of facilities and services catered towards keeping small guests entertained. Children can play freely in their very own swimming pool or an outdoor playground and indoor play area, with a wide range of organized activities specially designed for kids and teens. Special menus at Chilli, Oregano and Pepper’s offer simple dishes from spaghetti to chicken nuggets that big kids are sure to love. Tivoli Marina Vilamoura also offers babysitting services upon request so that parents can seek quiet time during a spa treatment, gym session or romantic dinner on the resort. 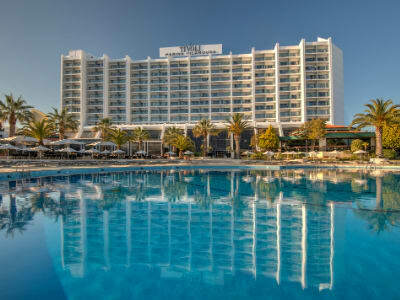 Tivoli Marina Vilamoura Algarve Resort is an elegant and modern hotel where its high standards of comfort, prime location in the vibrant Marina de Vilamoura, and close proximity to many points of interest make it an icon in the Algarve region. Just 20 minutes from Faro International Airport, the resort has direct access to the beach, local commerce at the marina and a privileged view of the Ocean and the village. This resort is the ideal choice for your dream vacation or memorable events. Delight in the enchantment of Easter with feasts, family fun, exclusive benefits and more Tivoli bliss. coastline contemporaneity. Let yourself stay and keep up with live music until the sunset. 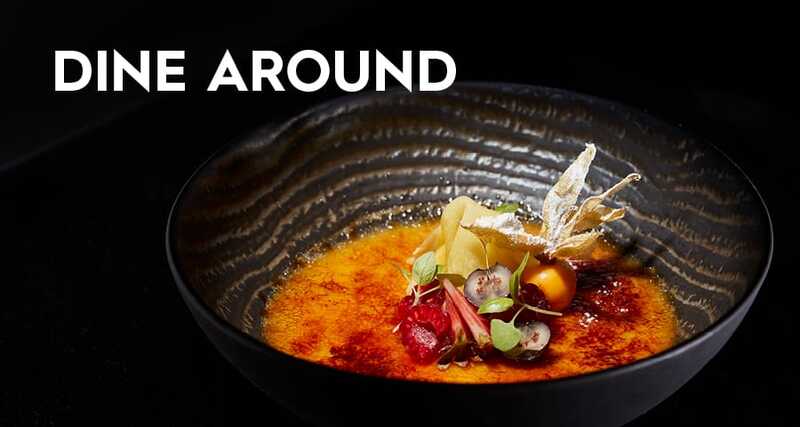 Surprise your palate with an exciting journey through the various gastronomic options available at our hotels with the “Dine Around” experience. From succulent seafood and the traditional flavours of Ria Formosa, to meat excellency, authentic Italian treats and superb contemporary dining, take advantage of a daily credit of €25* at all Tivoli Marina Vilamoura and Anantara Vilamoura à la carte restaurants, with your Half-Board booking. This was our third visit to this hotel. The staff,location, and food continue to be excellent. This remains one of my favourite hotels.